ohh I am DEFFO going to give this a go!! It sounds amazing, I hadn't even noticed the new collection! This looks interesting! Definitely going to have to give it a go! I love Batiste and I'm running out of heat protection spray so I'm definitely going to have to try this! This seems interesting and I love their dry shampoos so this sounds interesting and I always curly my hair when it is dry so not a big deal that it isn't wet. 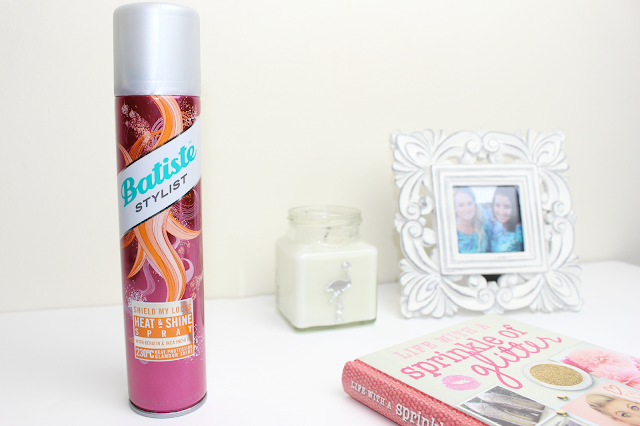 I really rate Batiste's dry shampoos so I can't wait to try their other products. This one sounds like a godsend to me as I'm a slave to my GHD's. I haven't seen this yet but it sounds amazing! I tend to run the straighteners through my hair most days so I deffo need a bit more protection. I haven't heard or seen of this new range, but it sounds awesome! I'm not crazy about the colouring on the package, but otherwise it sounds like an absolute win!